A Slip and Fall Attorney for Deerfield Beach is Robert E. Gluck. He has the education, experience, and understanding necessary to execute a slip and fall case. A slip and fall can happen in various situations like falling on another person's property, slipping on a wet or uneven floor, or even falling because of inadequate lighting. Slip and falls can take place in any kind of building or property like a bank, a store, a school, a casino, or anywhere else. Call Robert E. Gluck today, to make an appointment for your free consultation. Your Slip and Fall Attorney in Deerfield Beach, Robert E. Gluck, must prove negligence before launching your case. Negligence takes place when a reasonable person fails to follow proper care and it results in an accident and injuries. 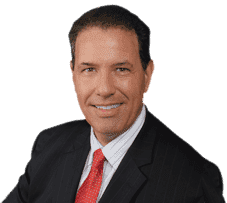 When you have a top-quality professional attorney like Robert E. Gluck working on your case, you have a much better chance of winning a settlement. He first became an attorney in 1989, and has since then represented clients with numerous injury cases. You can place all of your trust in the hands of Robert E. Gluck, in helping you achieve optimal results. Your Slip and Fall Attorney for Deerfield Beach will give you the professional legal service you are entitled to. Research shows a much greater chance of settlement, when you have legal representation. Your attorney, Robert E. Gluck, will help you feel less stressed by guiding you every step of the way and will give you the emotional support you need. Robert E. Gluck will fight hard for your legal rights, and will make sure you are not taken advantage of. The law is difficult to understand and there are many aspects that only an attorney would be familiar with. Robert E. Gluck, your Slip and Fall Attorney in Deerfield Beach, will never leave your side. He will locate witnesses and get their written statements, he will take pictures of the accident scene, he will obtain video footage, and he will examine the area for more damage. Robert E. Gluck will gather all necessary information he can find to use as evidence in your case. You can count on him for the legal representation you deserve. Call Robert E. Gluck today to speak with him about your slip and fall accident.